Aveda Congress happens every two years and brings together Aveda professionals from around the world for a premiere educational event. The global artistic team comes together to inspire our Aveda stylists to remain innovative and among the top in the beauty industry. Included in the program is an institute segment where four couches are selected from Aveda beauty schools from around the country. 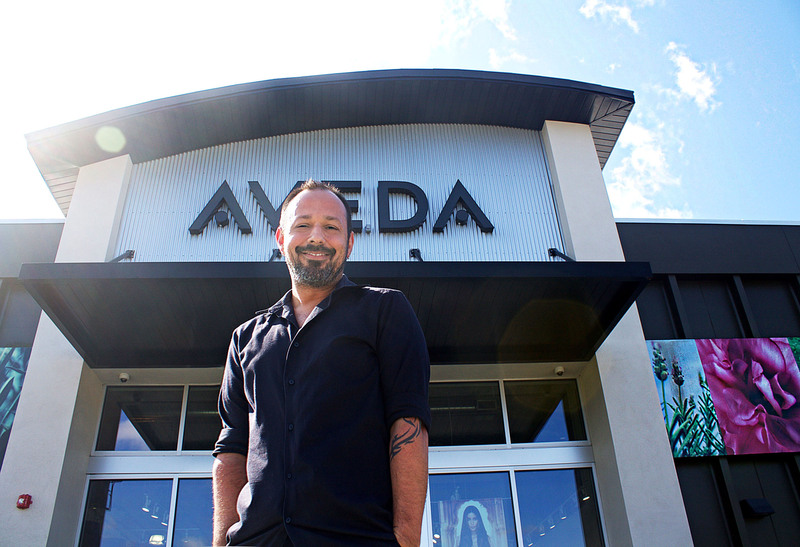 This year we are excited to announce that Aveda Institute Tampa Bay’s Education Coach, Mike Mercado (pictured below) was among one of the four selected. The selection process was based on a 100 word essay on what it means to be an Aveda Educator. It’s my belief that when people feel good about themselves, they smile a bit more, they treat each other better and a ripple effect is set into motion. Though it’s important to teach cutting techniques, color formulations and state board preparation, our real job begins when we teach to make a difference. At the Aveda Institute, we teach to give an experience. We teach that our artistry goes beyond the shimmer and texture. And we teach that we have the power to change lives, not just in the world of beauty, but around the world. This isn’t Mike’s first major experience with Aveda Congress. Two years ago, one of the segments was inspired by Mike Mercado’s Breast Cancer Awareness circus show, pictured below. Aveda Institutes South is honored to congratulate Mike Mercado for being invited to participate in this year’s Aveda Congress.